Hi, everyone! I’m Kim from The Celebration Shoppe and I’m thrilled to be sharing some Thanksgiving fun for Jen’s Happy Holidays series. One of my favorite things about the holidays is all the fun food! I love to make my kids, and all their little friends, smile with special goodies. And as a busy mom, I also want (and need) them to be quick and simple. So let’s get crafty and make some Indian Corn Rice Krispies Treats. These are perfect for the Thanksgiving Kids Table or for those upcoming Thanksgiving class celebrations. Yields 20 Indian Corn Treats. I have a few FREE Thanksgiving printables including a HAPPY TURKEY DAY and a GOBBLE GOBBLE favor tag that would be darling with these goodies. 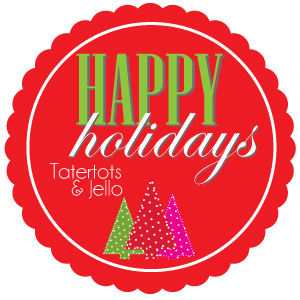 I also have FREE Christmas Gift Tags that you can personalize in the file before you print. Hop over and download yours! Thanks so much for having me Jen and Happy Thanksgiving everyone! 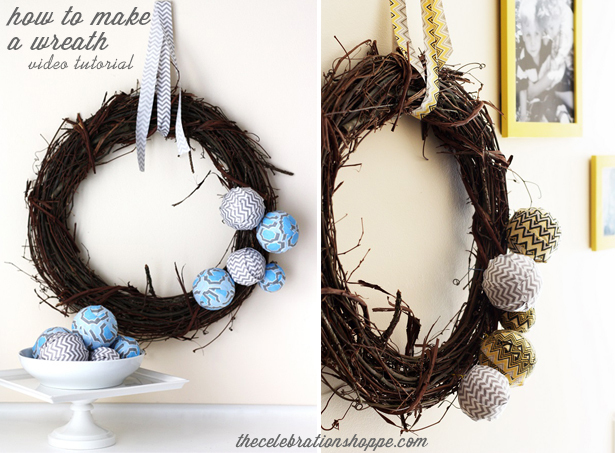 Kim has a great video tutorial for How to Make a Fabric Wreath like these two adorable wreaths pictured above. She also was featured on HGTV’s blogger challenge for this Rustic Winter Wonderland Christmas Mantel. I think it turned out absolutely beautiful!! And this DIY Wine Cork Stamp idea is perfect for your gift wrapping this Christmas! 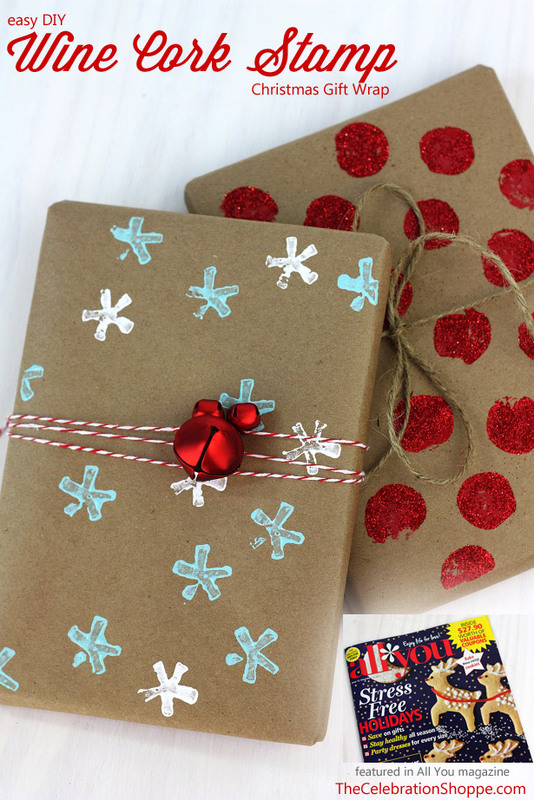 So simple and easy, but it makes the gifts seem extra special! Corn Rice Krispies Treats. These are perfect for the Thanksgiving Kids Table or for those upcoming Thanksgiving class celebrations. Great Ideas — 20 Last-Minute Thanksgiving Ideas!! Kids Thanksgiving Treat Idea — Graham Cracker Wheat Stalks!! Thanks for this adorable idea! I have them ready to take to a Thanksgiving meal today! those indian corn treats are sooo cute! erin @ house envy recently posted…Kitchen Reveal! The corn treats look so scrumptious! Great ideas. Love this post! Wow, all such great ideas and so cute! I’m forwarding the indian corn to my aunt in case she wants to make those for the kiddies at Thanksgiving!